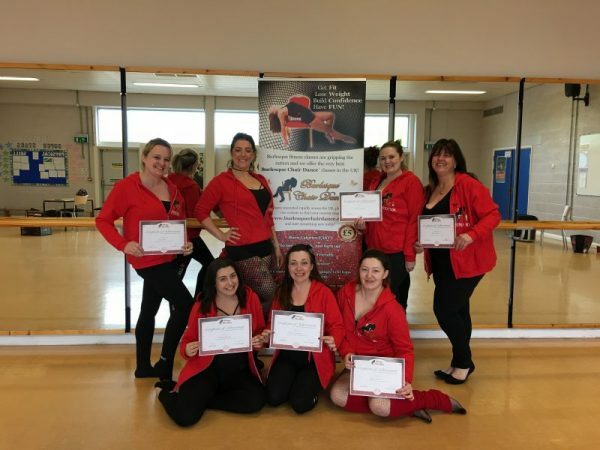 No previous experience or qualifications are required to become a Burlesque Chair Dance Instructor. Simply a passion for dance and a basic level of health & fitness to begin with and we will teach you everything you need to know to succeed. One of the best things about being an Instructor is the flexibility around your lifestyle, whether you open one class a week to top up your current income or several as a new career move you are in full control of your working hours. Our aim is to inspire women across the UK to Get Fit, Lose Weight, Build Confidence and Have FUN! Burlesque Chair Dance™ was founded in 2009 and quickly gained popularity in the Yorkshire region, we created our Instructor Training Courses in 2014 and since then we have expanded rapidly across the UK; Wiltshire, Cambridge, Liverpool, Derby, Lincolnshire, Hertfordshire, Scotland, Humberside, Isle of Wight and many other locations. •	Saturday the 6th & Sunday the 7th of October 2018 in Alloa, Scotland. •	Saturday’s the 1st & 8th of September 2018 in Doncaster, Yorkshire. •	Saturday’s 24th November & 1st December 2018 in Doncaster, Yorkshire. We are happy to offer a payment plan to spread the cost of the course over the months leading up to your arrival and a deposit of £100 is all that is required to secure your place. You will be learning your first Burlesque Chair Dance routine to ‘Lady Marmalade’ from Moulin Rouge. You will learn how to break down the routine to teach your class, the warm up and cool down exercises and the components of fitness. Please bring suitable clothing; vest top and leggings are an ideal choice, we dance barefoot. Day Two: 10am-5pm Final Assessment, Sign Up & Certificate! There is a written assessment for which an 85% pass rate is required. The written assessment covers health & safety, risk assessment, health screening, the muscle groups and components of fitness. Adequate support is provided to every learner and there is no re-sit fee. Personalized Instructor Dancewear; Hooded Zip Sweatshirt, Leggings, Leotard, Fishnet Tights & Vest Top. Each Burlesque Chair Dance routine is taught for 4 consecutive weeks meaning that new choreography is only needed once a month. Every month you will login to our website to access your Instructor Tutorial video to learn your next routine in the comfort of your own living room whenever it suits you. We are happy to assist with and advise you on seeking a venue and any other needs you may require. If you have what it takes to inspire women across the UK to Get Fit, Build Confidence & Self Esteem whilst having FUN then we want you to join our team!